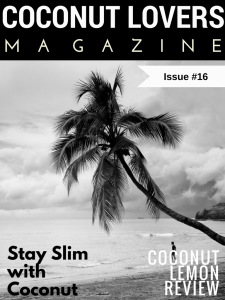 Coconut Lovers Magazine Issue #16: Coconut kissed with a burst of sunshine! I am always on the hunt for healthy NEW ‘grab and go’ options! As a Holistic Nutritionist, planning nutrient dense meals and snacks for clients is crucial. I encourage all my clients to focus on eating as many plant based meals as possible. This past week, I hit the vegan jackpot! I was delighted to discover Genuine Health (GH) makes a ‘fermented vegan protein‘ bar. That’s right! COCONUT LEMON! Not only is it crazy healthy but it’s COCONUT! Did I mention that? 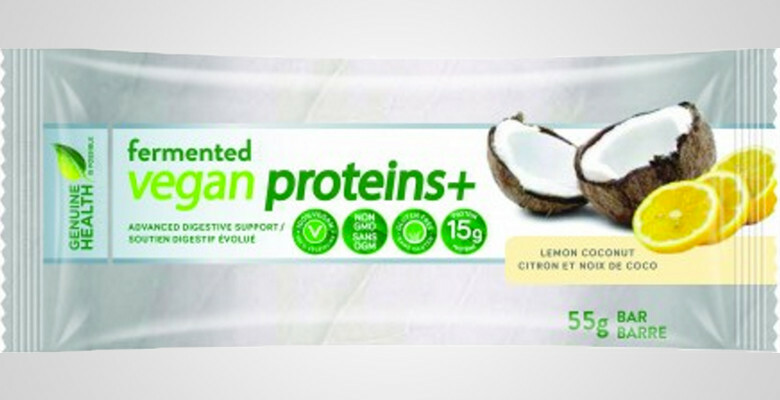 Initially the word COCONUT grabbed me but vegan sold me. 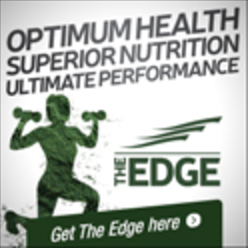 This bar contains a long list of plant based whole foods which help keep the body alkaline. The Standard American Diet is the opposite. Meat and dairy are on the acidic side leading to increased levels of inflammation. Inflammation leads to disease. It’s as simple as that. Let’s talk fiber! Fiber is a dieter’s friend. Fiber is filling! Being satisfied after a meal means less eating and ultimately weight loss success. High fiber consumption also helps eliminate toxins by speeding up transit time. Unfortunately, most people fall short of the recommended 25 grams of daily fiber. Genuine Health’s bar contains 10 grams of fabulous fiber. There are 14 grams of plant based protein packed into just 210 calories. Organic and non-gmo ingredients make this fitness freak smile. They have included powerhouses such as rice, hemp, quinoa, alfalfa, spirulina, sesame and pea protein. GH uses a wide range of super foods helping deliver various key vitamins and minerals. Not only are the ingredients sprouted, geniuses at GH use fermented foods! Fermentation is nothing new….think sauerkraut and miso soup! However, fermented plant proteins are quite the new trend! Why fermented foods? They help eliminate digestive upset by increasing friendly gut bacteria! Carbohydrates are not the enemy. Carbs supply us with energy for immediate use and storage. GH’S whole bar contains 26 grams . To put it in perspective, the whole bar contains less carbs than 1/3 cup of oatmeal. Agave and brown rice syrup along with raisin paste and a touch of cane sugar supply us with 10 grams of sugar! It’s the perfect number to kick start any workout or to revive any tired workday. Cholesterol or Sodium a problem? This bar has only 120 mg of sodium and it doesn’t contain cholesterol! Fat is an essential part of a healthy diet. 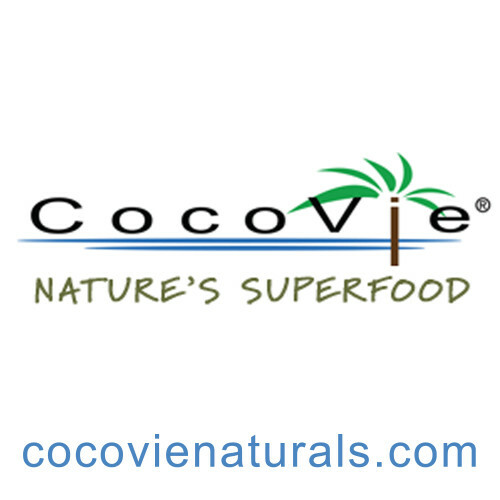 Coconut, almond butter and sunflower lecithin provide us with healthy omegas. It’s hard to believe 9 grams of fat deliver such decadence. To be brutally honest, I have over indulged all week, almost putting myself into a COCONUT coma! I have found 3 ways to indulge without guilt. Stressed? Start with a lovely herbal tea. Choose somewhere peaceful to sit down. Slowly unwrap my version of coconut heaven. Shredded coconut covers the top like fresh snow on a mountain! The first bite is pure coconut with a side of lemon filled sunshine plus smooth coconut oil in each morsel. Off to workout? Get crazy and top the bar with one big tablespoon of coconut oil! Coconut oil is used as immediate source of energy! It’s not stored as fat. Breakfast a bore? Cook 1/3 cup plain oatmeal. Melt in 1tsp coconut oil and add the crumbled bar as topping! Top with fresh berries. I am truly in LOVE with this bar. It’s gluten free, non-gmo, organic and vegan! I have stashed them in the car, my purse and gym bag! Happiness is finding a healthy snack! Maintaining blood sugar, mood and weight is easy with COCONUT lemon love!